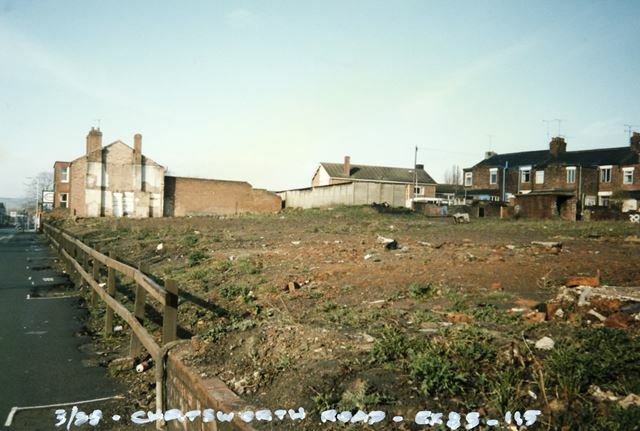 Cleared site on the north side of Chatsworth Road looking west. The location had been occupied by terraced houses (Bank Terrace) between Bank Street and Brickhouse Yard; a development of bungalows was subsequently built on the site. The houses in the right background are in Catherine Street.